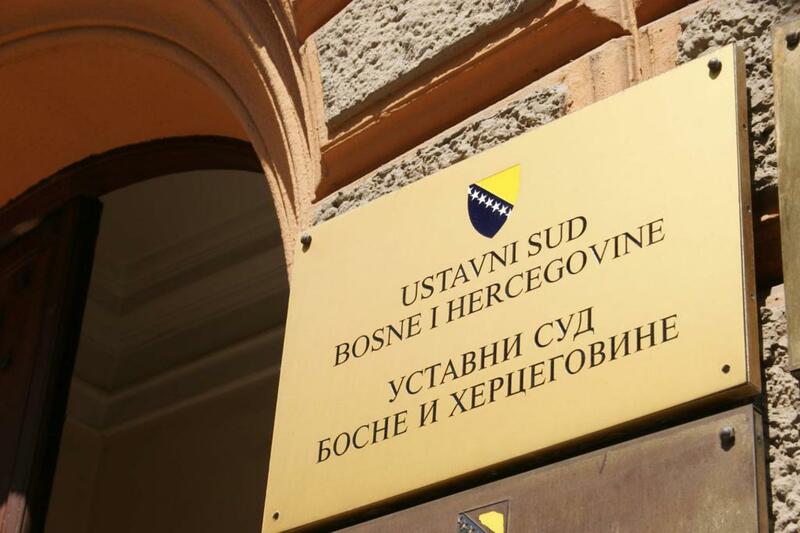 The Party of Democratic Action (SDA) will initiate legal proceedings on the Constitutional Court of Bosnia and Herzegovina, through its representatives in state institutions, in order to define whether the name of the BiH entity “Republika Srpska” is in accordance with the Constitution of BiH. The decision to trigger the process is not unexpected, as in the last two decades this appellation remains one of the priorities for SDA leaders, from late Alija Izetbegović to his son Bakir. In several processes on the BiH Constitutional Court, the SDA has already pressured Republika Srpska to change flag, coat of arms, hymn, names of the cities, Law on holidays regarding Republika Srpska Day etc. The SDA has also tried to change every other name, except those of the official institutions, which contains the prefix “Srpska”, claiming that these names insult the Bosniak and Croat citizens, giving them a “second grade citizen status”. In a press release, once again, the SDA explained that “the long-standing practice of the institutions of the RS entity’s authorities has shown that the previous name of that entity has been intensively and effectively used to discriminate and exclude the other two constituent peoples – Bosniaks and Croats”. “Linking the name of anything in a multiethnic community, such as BiH to just one nation, according to the principle of ethnic privilege, is contrary to the BiH Constitution and the European Convention on Human Rights, which is superior to the BiH Constitution”, the SDA emphasize. The SDA points out that this was confirmed by the decision of the Constitutional Court on the constitutionality of the nations U5/98, by which the entities were ordered to ensure full equality in all constitutional nations in their constitutional legal systems. They stress that BiH entity Republika Srpska exists under the BiH Constitution as a multi-ethnic entity, in which all nations must have equal rights, which means that not only one nation can be represented in the name and the other be excluded. The SDA demand and possible appellation to BiH Constitutional Court on the Republika Srpska name has brought bitter reactions in this entity. It is important to say that the news on the appellation came just a day after meeting of the RS leading party, Alliance of the Independent Social Democrats (SNSD), and the SDA delegations on the establishment of a new BiH Council of Ministers. After the meeting, which was held in a positive atmosphere, the participants declared that the establishment of this important joint institution, some call it BiH Government, can be over next month. Republika Srpska National Assembly Speaker, Nedjeljko Čubrilović, said that attempts to change the name of the Republika Srpska, for political purposes, means the demolition of the Constitution of BiH, after which no one could foresee the development that would follow. “The Serb people have won the right to Republika Srpska and will never give up on that. The name Republika Srpska was accepted by the Republika Srpska National Assembly at a session in Bijeljina on September 14, 1992, and it is verified with signatures by the participants of the peace agreement negotiations in Dayton. No one, except the citizens of the Republika Srpska, has the right to decide on that”, Čubrilović stressed. He added that eventually putting such an initiative on the agenda of the Constitutional Court session would be a clear sign that a project called Bosnia and Herzegovina does not exist anymore, as it would destroy the Constitution. “The one who announces the demolition of the compromised BiH Constitution and the Dayton Peace Agreement with its initiatives, is directly responsible for all the possible consequences of such a radical and irresponsible policy,” Čubrilović concluded.